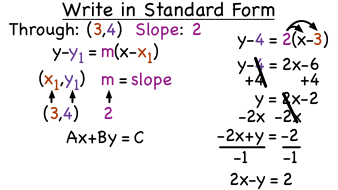 Get some practice with the point-slope form and standard form of an equation! This tutorial shows you how to use two given points to write an equation in both forms. Take a look!